There was a measure of irony in the air Thursday night when Columbia Center manager Barbara Johnson was named the 2016 Tri-Citian of the Year. In keeping with tradition, the Tri-Citian of the Year’s identity remained secret until it was announced. Even the nominee herself was in the dark until then. That’s no small feat considering Johnson chaired the Tri-Citian of the Year program until 2014. 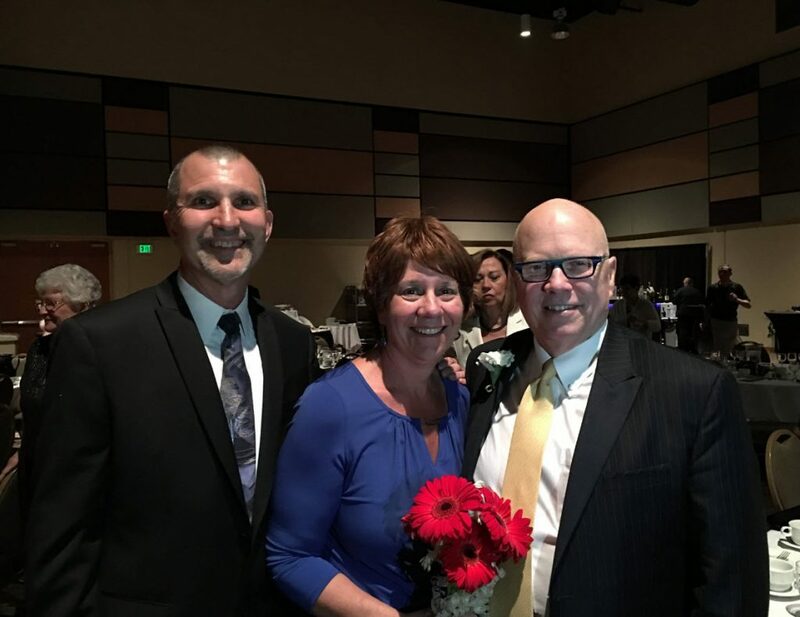 Barbara Johnson, manager of Columbia Center and chair of the Kennewick Public Facilities District, is the 2016 Tri-Citian of the Year. The Tri-Citian of the Year is the region’s top civic honor, given for exceptional contributions to the community. Johnson has lent her support to a long list of civic groups. Johnson, who lives in Richland, has been intimately involved with the Kennewick’s convention center complex since 2000, when she joined the fledgling Kennewick Public Facilities District board. Voters rejected a different, earlier expansion pitch in 2012. Johnson spent the intervening years leading efforts to develop a plan the community can get behind. That includes coordinating with the Port of Kennewick on the Vista Field redevelopment to ensure the neighboring projects are complementary. Johnson was nominated by Ron Hue, the 2012 Tri-Citian of the Year winner and his wife Joan, along with Sondra Wilson. The nomination was supported by several past winners, including Mike Schwenk (2008) and Fran Forgette (2001) and leaders of Visit Tri-Cities, Friends of Badger Mountain, the Tri-City Regional Chamber of Commerce, Fields of Grace and the Tri-City Development Council, or TRIDEC. She is an active member of Columbia Center Rotary and the TRIDEC board. She is past chairwoman of United Way of Benton-Franklin Counties, has volunteered with the regional chamber, visitor bureau and supported Friends of Badger Mountain. Between 2010 and 2014, she chaired the Tri-Citian of the Year program. And, together with her husband Wayne, regularly organizes an annual dinner to raise money to support food drives. The Tri-Citian of the Year award began as an initiative of the Tri-City Herald in 1962. It has operated as a community function since 1981 with sponsorship by the area’s Rotary clubs. Johnson is the 47th honoree. Recent winners include former Fluor executive John Umbarger in 2010, Port of Kennewick Commissioner Skip Novakovich in 2011, HAPO Community Credit Union executive Ron Hue in 2012, attorney Allen Brecke in 2013, Sun Pacific Energy president Craig Eerkes in 2014 and Caldwell Laboratories founders Priscilla and John Caldwell in 2015. The Tri-Citian of the Year award is the highest honor our community bestows. Those who receive this distinction are an example of unselfish drive and commitment to the Tri-Cities. This year’s recipient, Barbara Johnson of Richland, epitomizes these qualities. Her civic involvement over the years shows a particular devotion to economic development and bringing new amenities to the Tri-Cities. In addition, she also has been a champion for a slew of charitable organizations that help the less fortunate in the community. Johnson is manager at Columbia Center mall — a demanding and time-consuming job, to be sure. Yet she somehow has found a way to lead and participate in a number of civic organizations. The list is long. Currently, she is the president of the Kennewick Public Facilities Board and is an active member of the Columbia Center Rotary and the Tri-City Development Council. She also has been involved with the Tri-City Regional Chamber of Commerce, Visit Tri-Cities and is a past chairwoman for United Way of Benton-Franklin Counties. She was nominated by Ron Hue, the 2012 Tri-Citian of the Year winner and his wife, Joan, along with Sondra Wilson. The nomination was backed by several letters of support by community leaders and past Tri-Citian of the Year award recipients. The Tri-Citian of the Year award was started by the Tri-City Herald in 1962 as a way to honor people who contributed to the growth and development of the community. It has since become a joint project of the Rotary clubs in the area. Johnson’s organizational skills are apparently well known among those who conduct fund-raising events, and the nomination form noted that she frequently is called upon to help raise money for charity. This has included events that benefited Domestic Violence Services, March of Dimes and the effort to make the Carousel of Dreams a reality. In addition, Johnson donates her time to young women at Washington State University Tri-Cities, and counsels them on appropriate business attire, how to prepare for a job interview and act professionally in the work force. She and her husband, Wayne, also open up their home every year and sponsor a dinner to raise money for local food drives. The couple are supporters of Tri-Cities Prep High School, the Boys and Girls Club of Benton and Franklin Counties and Catholic Family Services. And this isn’t all. There are other organizations and community events that, over the years, have benefited from Johnson’s expertise. In 2012, Soroptimist International of Pasco-Kennewick named Johnson its 2011 Kennewick Woman of the Year. On a note of irony, she was the chairwoman for the Tri-Citian of the Year award from 2010-14, and according to her supporters, there were times she almost single-handedly made the event possible. She handled corporate sponsorships, reservations, table assignments, coordinated the speakers and managed the application process. It is fitting, then, that someone who spent so much of her time helping to recognize others has now been honored herself.